People have a choice when and how they travel, but sometimes, disrupted flight experiences make us feel as though choice and solid customer service are more of a luxury than an ongoing standard. At AirHelp, we want to ensure that airline carriers and airports take responsibility and join the journey toward improved customer experience. Together, we can focus on better passenger experiences and more seamless travel. This is precisely why we instituted our annual AirHelp Score. AirHelp developed this annual report to combine expert knowledge and industry expertise to give air passengers the information they need to make better-informed decisions when booking flights. 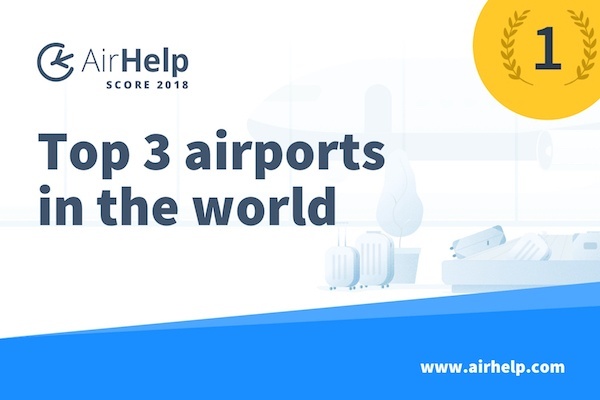 The 2018 AirHelp Score marks the company’s sixth report since 2015, and our data-driven analysis of airlines and airports allows you to see who’s who when it comes to ranking and why. The numbers don’t lie and here’s what they have to say. 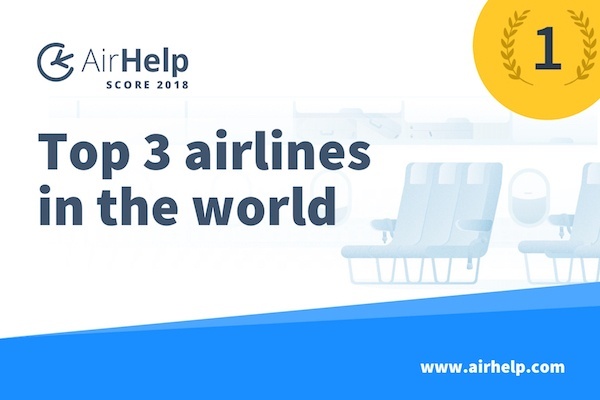 The 2018 AirHelp Score resulted in new winners, with Qatar Airways claiming the #1 spot, followed by Lufthansa, and then Etihad Airways. Thanks to their excellent on-time performance and claims processing, Qatar Airways soared to the top. Worldwide, the airlines Lufthansa, Etihad Airways, Singapore Airlines, and South African Airways rounded off the top five. The five airlines falling behind worldwide rankings with the lowest ratings included Air Mauritius, easyJet, Pakistan International Airlines, Royal Jordanian Airlines, and WOW Air. This year saw a shift in airport ratings as well. Air passengers enjoyed the best experience at Hamad International Airport, Athens International Airport, and Tokyo Haneda International Airport who were ranked top three. London Stansted Airport and Kuwait International Airport, however, fell short landing toward the bottom of 72 airports involved. Compared to Europe, Asia, and the Middle East, the US is lagging behind. At AirHelp, we want air passengers to feel confident in their travel choices. Whether learning about what you can take on an airplane or knowing about more techy tools that help when your flight is disrupted, we are here for you and your passenger rights. For a more in-depth view of each airline and airport ranking, please visit our comprehensive AirHelp Score analysis.